Most of America celebrates the Fourth of July holiday with BBQs, fireworks, and if you live near Boston, an amazing concert put on by the Boston Pops. Every year, tourists from all around New England descend upon Boston for one of the greatest shows celebrating America’s independence. But in the weekend leading up to the spectacular, what’s a forest-loving, mountain-climbing, outdoors enthusiast supposed to do? Well get outside, of course. There’s no better way to celebrate our nation’s birthday than by appreciating its natural beauty. 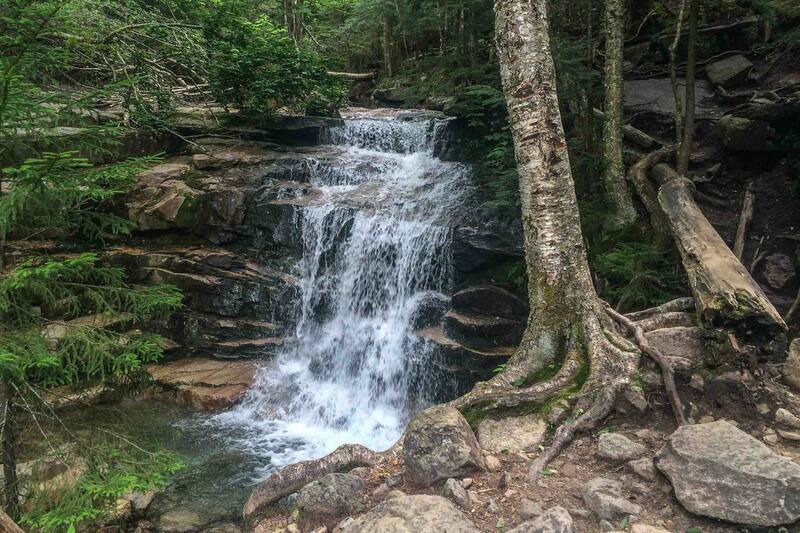 Here are some of the best places to go hiking near Boston and enjoy that beauty this weekend (or any weekend for that matter). 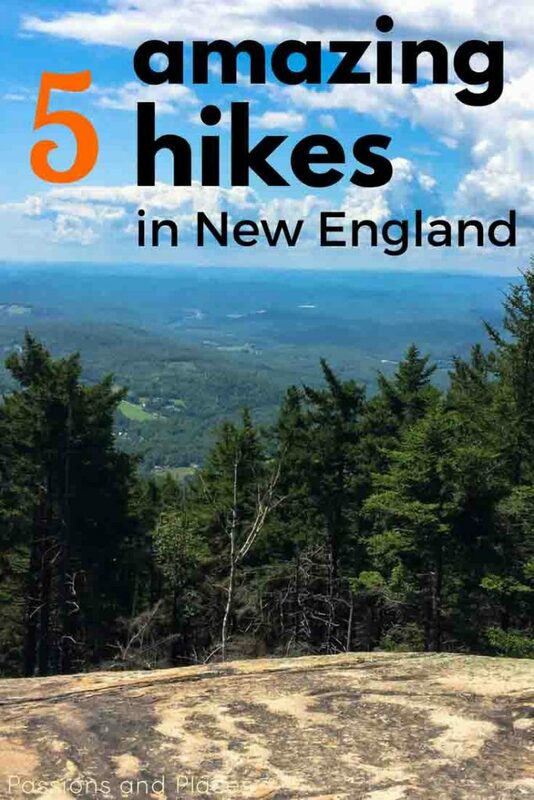 The White Mountains feature some of the steepest, most challenging hikes in New England, but at just two hours from the city, it’s one of the most accessible options for hiking near Boston. The Franconia Ridge is one of the best hikes in the Whites. It consists of an eight-mile route made up of three sections: the Falling Waters Trail, The Knife’s Edge, and the Old Bridle Path. 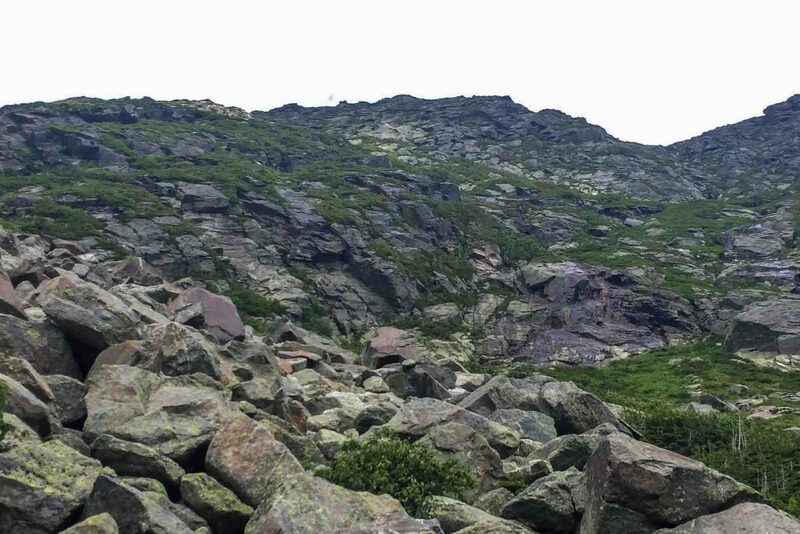 That middle section is actually the highlight, a narrow path along the ridge that runs between the two main trails and connects the three mountain peaks of Little Haystack, Lincoln, and Lafayette. The Falling Waters Trail starts at Franconia Notch State Park and climbs for 3,000 feet over two and a half miles to reach the first summit at Little Haystack Mountain. Along the way, you’re treated to a series of waterfalls, with the 80-feet-tall Cloudland Falls as the centerpiece. While this section gains a lot of elevation, it’s not technically challenging. The next section is what draws hundreds of visitors to the trail each day: The Knife’s Edge. It stays above treeline for a mile and a half as you traverse the three summits. In some parts, the path is only ten feet wide, with relatively sharp drop-offs on each side. 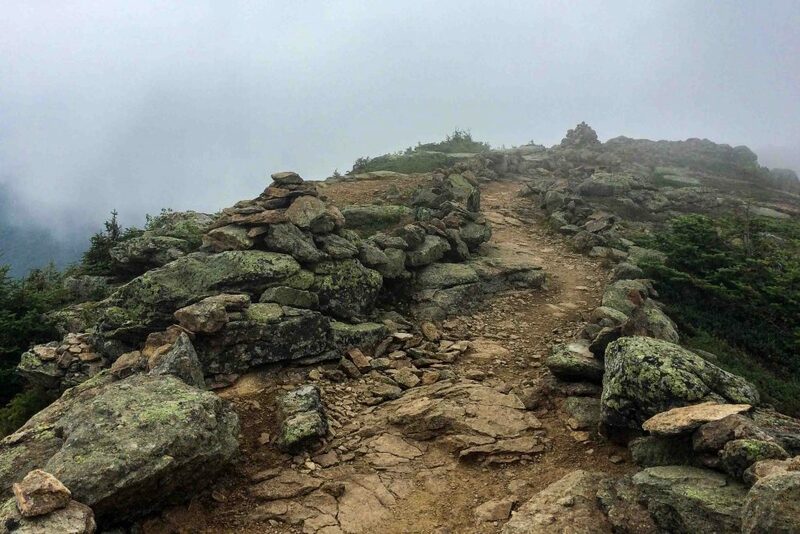 When the skies are clear, you’ll have spectacular 360-degree views of the White Mountains; and when they’re not, you’ll have a hauntingly beautiful trail to look at, as the clouds descend on the ridge and obscure the overwhelming drop you’re standing above. After The Knife’s Edge, the Old Bridal Path might seem like a bit of a letdown. You descend from the rocky ridge, and the vegetation around you gradually gets taller as the treeline approaches. 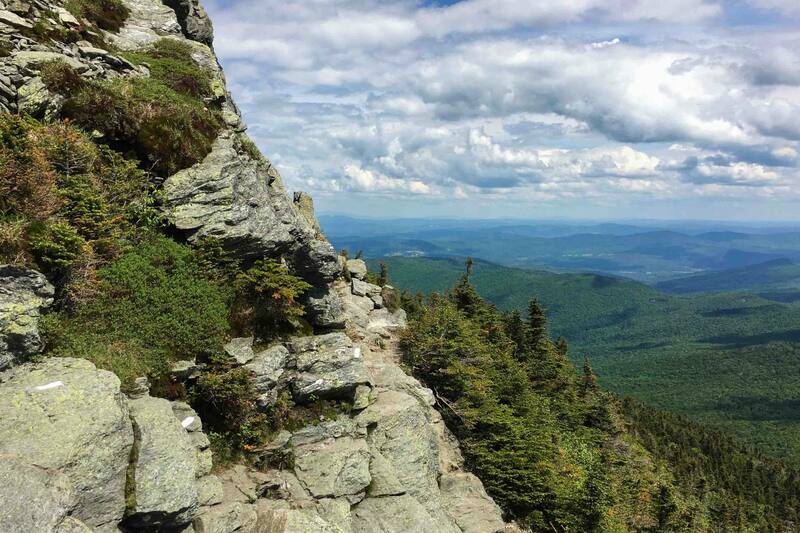 It’s a steep descent that can be hard on the knees, but eventually the trail reaches the Greenleaf Hut, one of the Appalachian Mountain Club’s famed trail cabins that serve as an oasis for Appalachian Trail hikers. You might find a couple thru-hikers there who can tell you some stories from the last thousand miles they’ve covered. Either way, it’s a nice place to stop for refreshments and to take a moment to look back at the imposing ridge above. It’s a pretty easy two-and-a-half mile hike back to the trailhead from there. 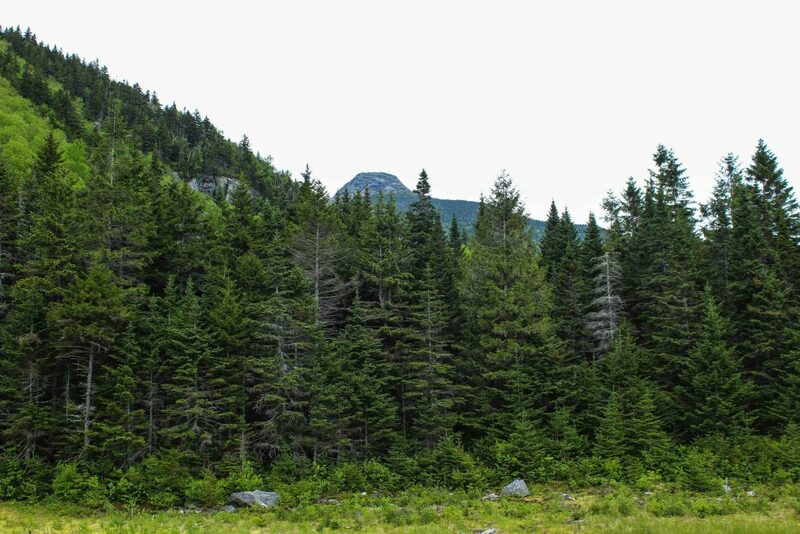 The highest peak east of the Mississippi River, towering over all other peaks in the White Mountains, the Mt. Washington hike is a must for any hiking enthusiast. 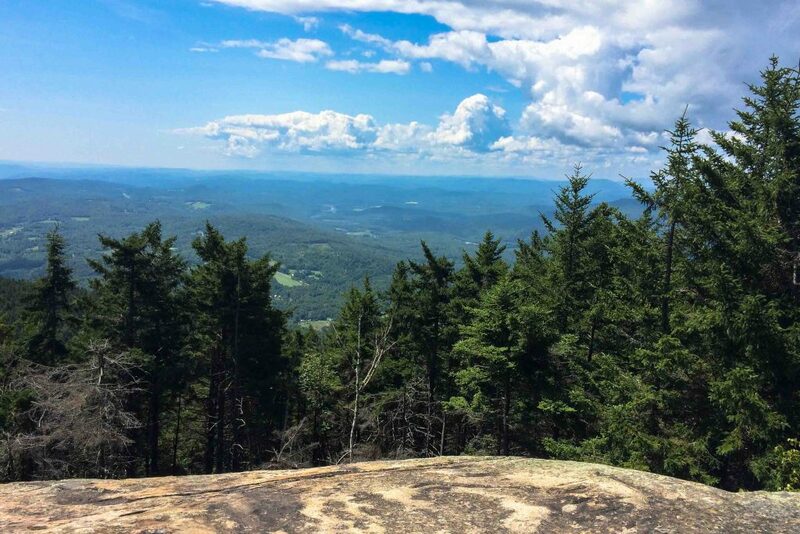 While the top of the mountain can be reached by car, summiting the 6,288-foot peak on any of its several trails is a rite of passage for New Englanders. The Boy Scout motto of “always be prepared” is especially critical on this hike, as Mt. Washington has some “unique” weather patterns. The second-highest wind speed ever-recorded (231 mph) occurred on Mt. Washington in 1934, but the average temperature at the base is usually twenty degrees warmer than the summit. You could be sweating buckets or bordering on hypothermia, so always dress in layers. This is the most popular route for hiking Mt. Washington. 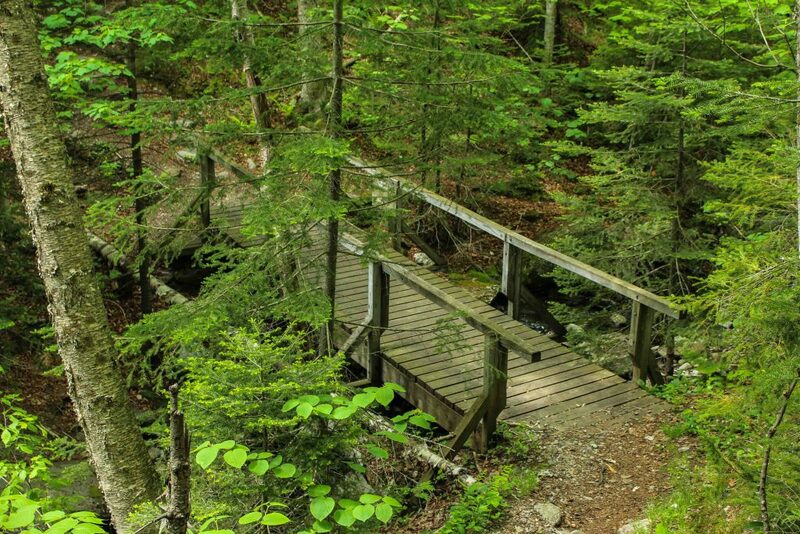 It’s challenging in that the trail climbs almost 3,000 feet in four miles between Pinkham Notch Visitors Center and the summit, but with some persistence, it’s doable for most people. The views of the surrounding countryside are unbelievable, and much of the second half of the ascent is above treeline, allowing for completely unobscured vistas. In the winter, it’s a popular route for backcountry skiers, who hike to the summit and then shred powder back down. 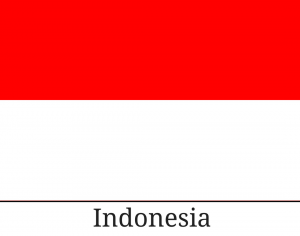 A second option for the Mt. Washington hike is the Huntington Ravine Trail. 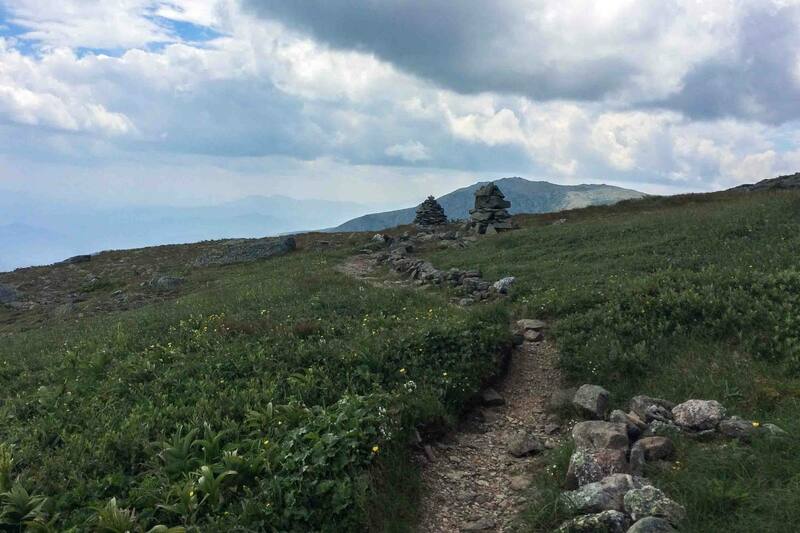 One and a half miles into the Tuckerman Ravine Trail, a fork separates them – there is little indication here of the challenges awaiting should you choose the latter. For the next mile, the trail weaves through dense forest and only requires a (fairly enjoyable) scramble over some boulders that block the path. But the reality sets in after that mile, when you have to climb the near-vertical wall of rock in front of you. I feel safe in saying that the Huntington Ravine Trail is one of the most challenging non-technical (no ropes needed) routes in New England. 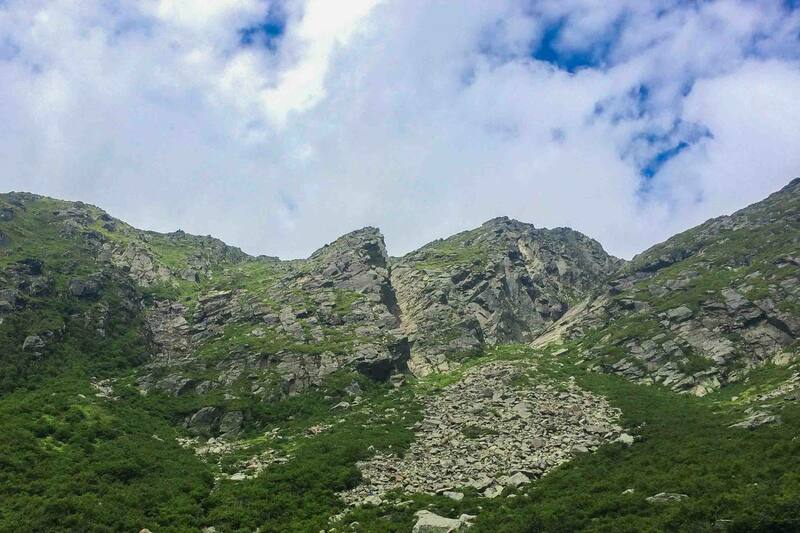 It’s about a mile shorter than Tuckerman Ravine, but ascends at a much steeper pace. It requires an indifference to heights and good balance, as a slip could be fatal. For the scramble to the summit, you need patience and concentration to find the best footholds. Once you get very far into the hike, there’s no turning back, as a descent down that route would be extremely dangerous. (You have to use the Tuckerman Ravine Trail to get back to the trailhead.) Also, do not hike this trail if it’s wet, snowy, icy, or under any other conditions that would make it more challenging than it already is. 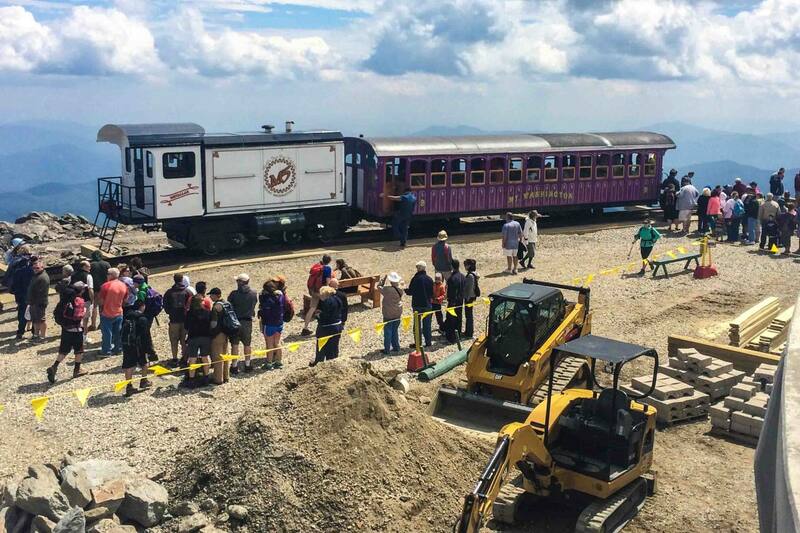 If neither of those options sound appealing to you, or you don’t feel like putting in a full day of hiking, you could drive or take the historic cog railway to the summit of Mt. Washington – the hikers won’t judge you for it… No matter how you reach the summit, the views are spectacular! Mt. 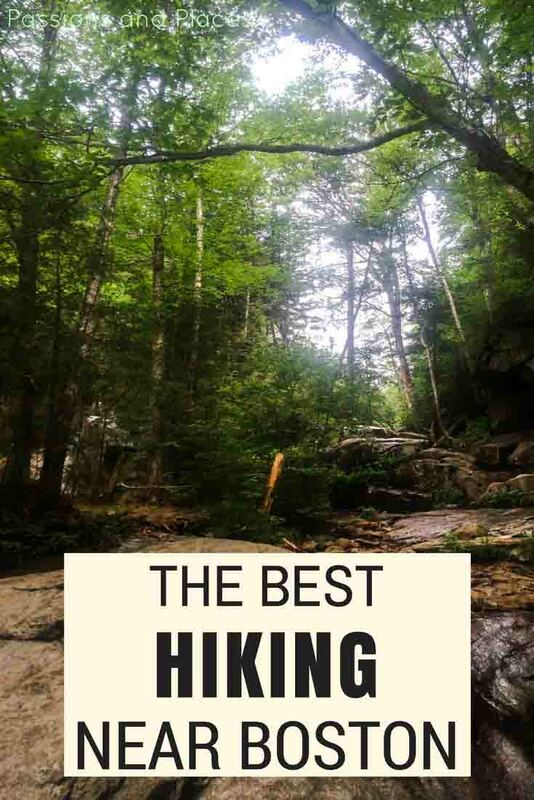 Ascutney doesn’t have quite the fame among hikers as the others on this list, though it still makes the “Fifty Finest” list. But if you’re looking for more walking in the forest and less scrambling above treeline, it’s an excellent choice. The trail can get a bit crowded with students, though, as Dartmouth College is only 40 minutes away. Start the hike at the Weathersfield Trailhead in Ascutney State Park, four miles west of the town of Weathersfield. This approach will take you on a six-mile out-and-back hike to the summit that’s not too difficult, and there are several waterfalls and interesting boulders formations along the way. 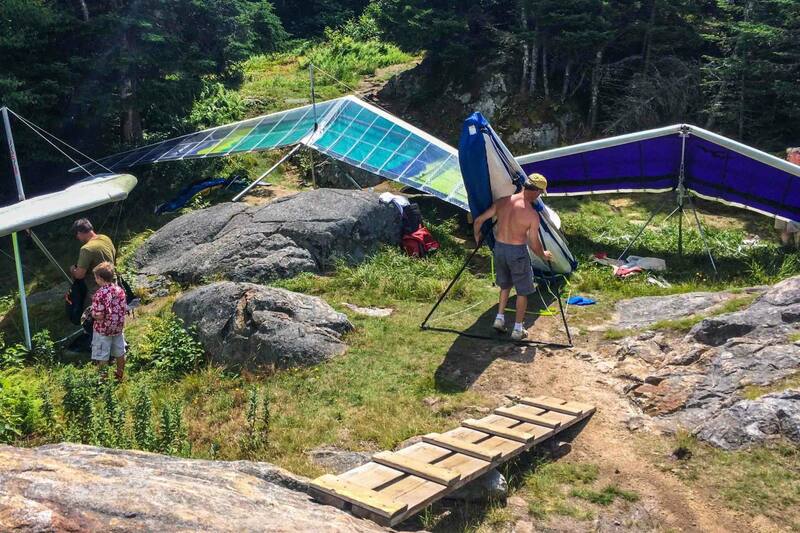 But perhaps the most unique aspect of this trail is that it passes one of the five locations in Vermont that hang gliders launch from. On any given weekend during the summer, you’re likely to find a few fearless individuals setting up their rigs and preparing for flight. It’s a truly awesome sight to see when they go. To reach the mountain’s summit, hike past the hang glider launch point for another mile to reach the radio tower at the top. But the views from there aren’t as good as they are from the launch point; when I was there, another hiker even said, “Is this it? I can’t see anything.” There’s a fire tower you can climb nearby that offers much better views (but somehow neither of us noticed it at the time, so I haven’t climbed it). This one’s a popular hike with UVM students, as it’s only 45 minutes from Burlington and is the third-tallest peak in Vermont. Lake Champlain, 20 miles away, is even visible from its summit on a clear day. One of the best routes is the 7.4-mile semi-loop trail that starts at the Monroe trailhead near North Duxbury. 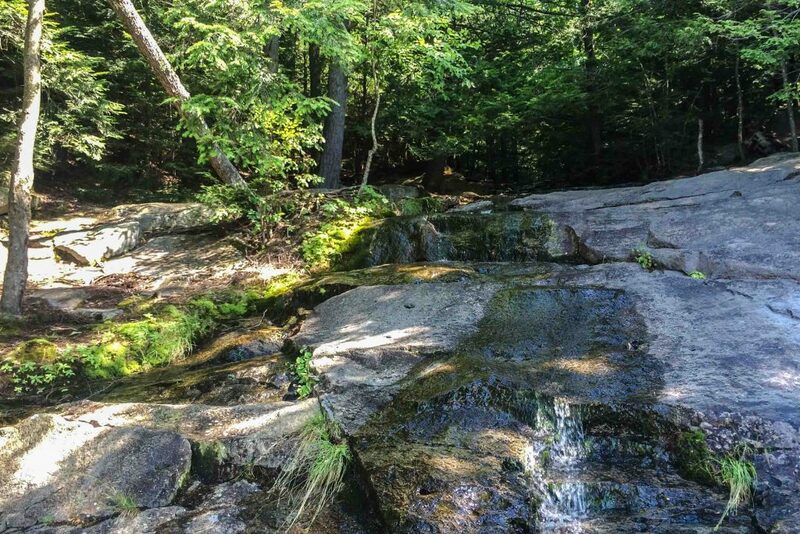 The hike can be a little bit confusing because it uses a few different trail sections, including part of Vermont’s Long Trail, the 273-mile thru-hike from Massachusetts to the Canadian border. After about a mile and a half on the Monroe trail, turn left on to the Dean Trail for the more exciting approach to the summit. There’s a big open area next to a beaver pond where you can get a glimpse of the Camel’s Hump far off in the distance (which will give you a sense of how much farther you need to go). The Dean Trail hooks up with the Long Trail after a mile or so, and you might meet a few thru-hikers there. They’ll be the ones who seem to be effortlessly plodding their way up the steep trail, even though they’re carrying three times as much weight in their backpack. The Long Trail’s final ascent to the summit can be a bit challenging; you’ll have to navigate some really narrow rock trails that skirt the edge of the mountain. It’s nothing like the scramble of the Mt. Washington hike, but it’s also not for anyone who gets nervous around cliffs. While you may have only seen a few hikers along the trail, the summit can actually get a bit crowded, with lots of people lounging around up there, eating lunch, reading books, and chatting with friends. It’s a beautiful place to spend the afternoon. From the summit, be sure to descend down the Monroe Trail and not the Burrow Trail, which leads to the other side of the mountain and will not take you back to your vehicle. On the way back, when you reach a fork leading to the Alpine Trail, take a short detour to the left. Not far from there is the wreckage of a fighter plane from World War II. Afterwards, backtrack to the Monroe Trail, and it’s only a couple miles through the birch and maple forest to the trailhead. 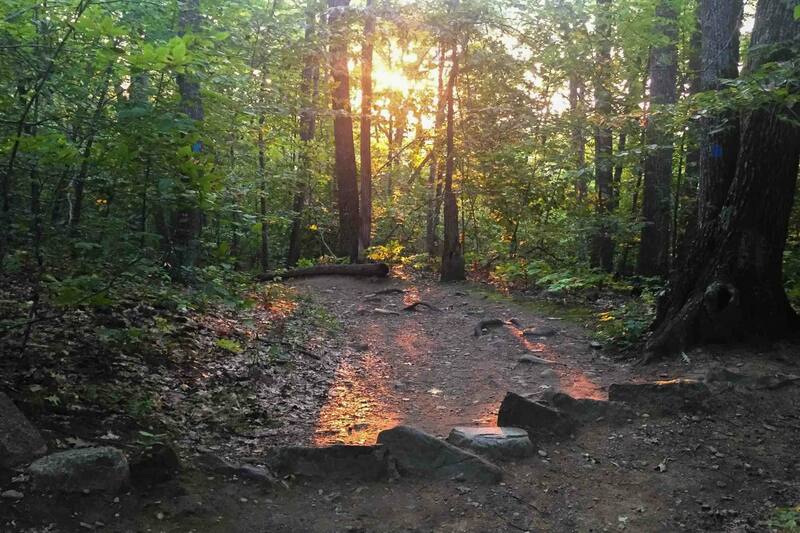 Three and a half hours from Boston and right outside the historic seaside town of Camden is Camden Hill State Park, home to a short and beautiful hike to an overlook atop Mt. Megunticook, 800 feet above Penobscot Bay. Over thirty miles of trail crisscross the park, but the Megunticook Trail is the quickest way to reach the overlook from the base of the mountain. In comparison to the other trails listed here, this trail is pretty easy, even though it ascends 1,000 feet in a couple miles (and there are some rock staircases that will get your legs burning). It starts off in the kind of dense pine forest that is emblematic of Maine; there are only a few cracks in the treeline allowing for infrequent views of the ocean to the east. The summit area is a trail-less, solid slab of rock, so you just have to wander your way across it to find the overlook. On really clear days, it’s possible to see Mt. Washington over a hundred miles to the west. The campground at the base of Mt. 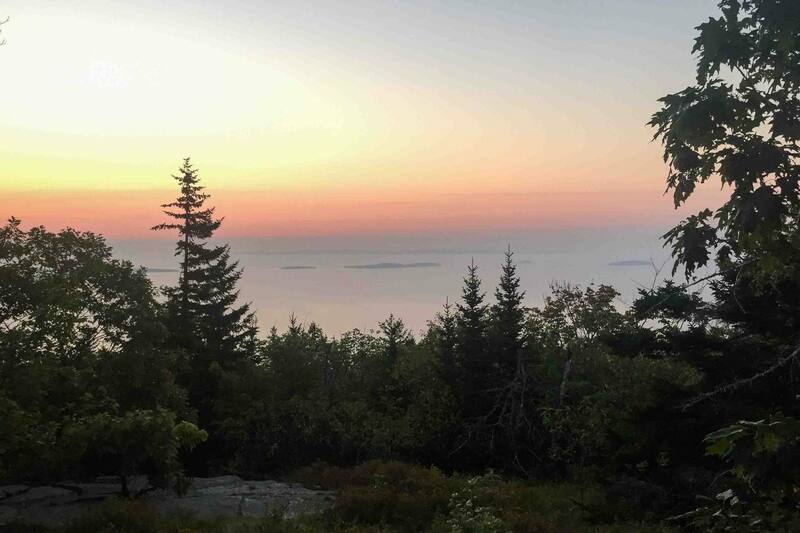 Megunticook is often booked up on holidays and summer weekends, but if you do get a spot, crawl out of your tent before first light to hike to the summit for sunrise. Seeing the morning colors creep over the bay will be worth the early wake-up call! Oh, and when you return from the mountains, the Boston Pops play on July 3 and 4 from 8:00-10:00pm on the Esplanade. The fireworks start at 10:30pm on July 4, but get there early to claim your viewing spot along the Charles. (Local tip: If you’re not watching the Pops beforehand, the Cambridge side is much less crowded). 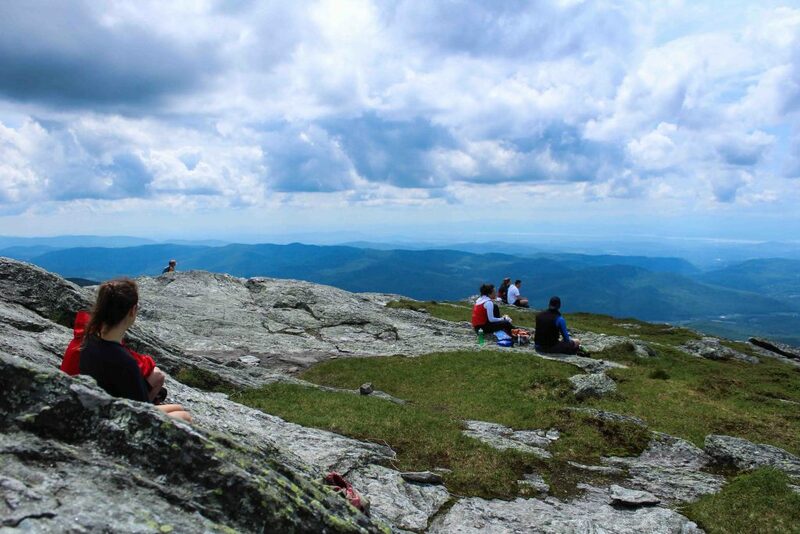 What’s your favorite place to go hiking near Boston? The collection of your pictures in this content are really awesome. I have a trip to Boston next week. I am planning for go to the place Franconia Ridge Loop. It’s looks so amazing and great. And next year I will go for Camel’s Hump with your suggestion list. Thanks for sharing. Franconia Ridge is stunning in the winter and there aren’t that many people doing it. You should definitely bring some micro spikes though, the ice can be treacherous. Beautiful sceneries. I really like the landscapes of that part of the US! I hope I’ll get to explore New England one day, my dream would be to go in the fall for the famous foliage! Wow! Such serene locations for hiking and beautiful photos.